A true homage to the 21st-century woman, these cropped jeans are the work of fashion house Off-White. Inspired by streetwear with their slightly loose cut, cropped length, and message at the top of the left leg, they are revisited in an elegant and perfectly cut version. 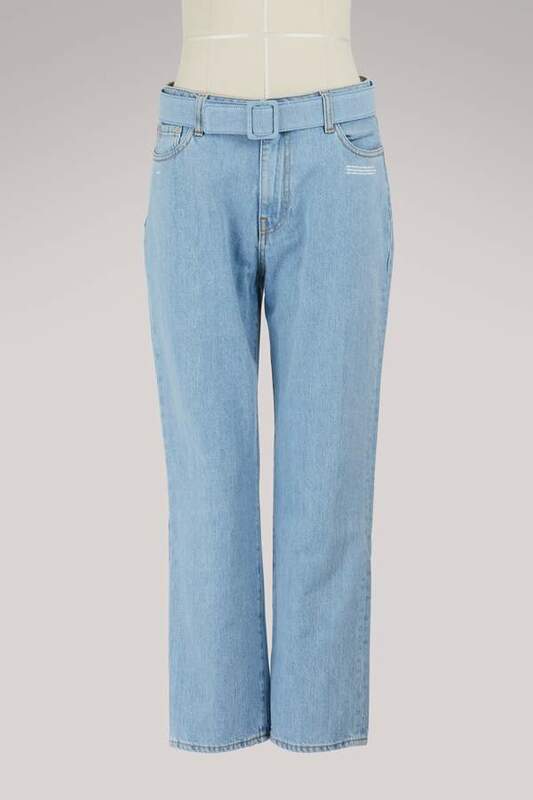 These jeans will highlight your shape while giving you maximum comfort. Make them feminine with a pair of pumps.